Medium Kate Carlsson has returned from Poveglia with her partner, Jackson Stone, but there's no time for rest and relaxation. Strange things are happening in Kate's sleepy Vermont town. Locusts lurk in her kitchen, frogs rain from the sky, and water turns to blood. Even worse, her friend--a noted Egyptologist--has vanished. 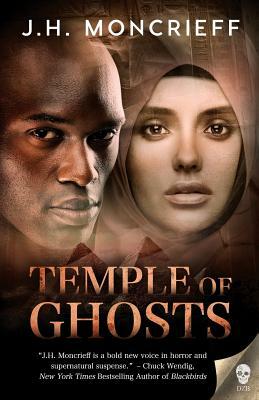 To save her town and find her friend, Kate and Jackson must confront an ancient evil originating from the tombs and temples of Egypt. With the help of an enigmatic Egyptian psychic, they will face their greatest foe yet.